Sofia's date was pretty easy on the eyes, too. 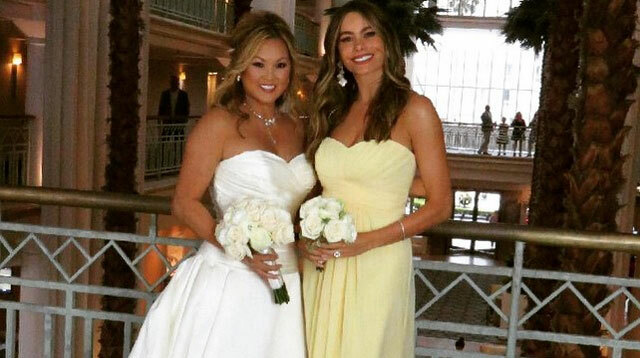 US Weekly reports Sofia Vergara can now add her name to the ever-growing list of beautiful celebrity bridesmaids! Over the weekend, Sofia served as a bridesmaid in a friend's wedding and shared some gorgeous pictures from the event on her Instagram page.